I always feel his existence wherever I might be. I always feel him beside me.Even though I dont get time in attending his satsangs, but whenever I get time in office I visit his site to update myself.When I close my eyes I see him in front of me, indeed he exists everywhere. Last DEC or so I read about him and sent a mail in his website. He came to Chennai and his assistant(whom I met recently along with Nanna Garu(in Dr.Mithin's house) phoned up to me (it was Jan 2010 or so)I don't remember exactly,he gave the phone to Nanna Garu and I heard him saying that he would speak to me when he comes to Hyderabad in between I had been to USA and returned in August end. I forgot about Nanna Garu, to tell frankly. 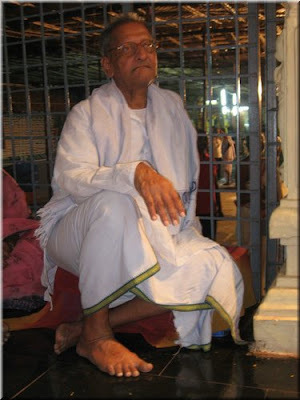 Last Sunday someone in Sri Ramana Kendram Hyderabad told that Sri Nanna Garu would be in Hyderabad during this week. 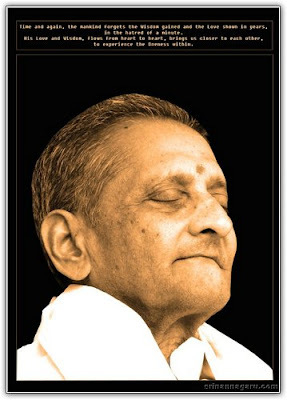 Then I had a chat with Sri Dattasway on Tuesday it was first time I did a chat with Sri Datta Swamy.He took pain and gave me our Mithin's number and at 10pm reluctantly I disturbed Mithin over phone.He was instrumental in my having Sri Nanna Garu's dharshan.I was blessed. 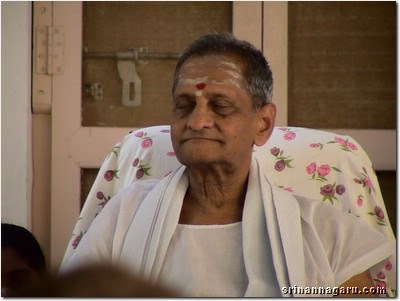 Sri Nanna Garu is very simple and is full of love towards us. Such a great personality/saintly man asked me to sit by his side means,there is something remarkable in him which I cannot tell in words. On top of it he did not want me to wait for his audience and called me through his assistance when many were waiting. HE knows everything. I can only say that I was blessed. And Dr.Mithin was instrumental in this. Those were the days when the Heart was searching intensely for the Guru. Bad Prarabdha was present intensely at that time. I met Sri Nannagaru then through the introduction of Jhansi garu. The first words that escaped His lips when he met were " You will be blessed." The inner desire which was intense seemed to have come out in the form of that blessing. The Guru with body is none other than Sri Nannagaru, this thought increased in my mind clearly. Lord Arunachaleshwara who was in the form of Arunagiri whose best devotee was the Cow Lakshmi, like that I surrenderd my family burden to Him. This same Arunachala solidified into the form of the Guru Sri Nannagaru. Lord Dakshinamurthy whose leela is in Mouna ( Silence ) is Sri Nannagaru who is that same Brahmapadartha ( Bliss of Brahman ) who is walking. This I realized by experience. I am now trying to realize that I am just a mere instrument in Bhagwan Nannagaru's hands. Thank you for all of the devotees who've shared their wonderful feelings that they had under his presence. These anecdotes are valuable. If we have average intelligence then we can lead a normal life. High I.Q., like Einstein is useful for making discoveries. But high I,Q., creates ego and leads to delusion. Generally out of a hundred bright students only ten per cent will have good intentions. The rest, the ninety per cent will become selfish because they use their surplus intelligence to increase selfishness instead of selflessness. Their parents innocently feel happy in thinking their children are getting good marks in their studies but later on these children won’t even bother about their parent’s welfare. It is good if God gives a high I.Q., as intelligence is like money that you can use for either good or bad purposes. The hand holds the cooking instrument but the instrument can’t hold the hand! In the same way intelligence can’t get hold of the source. I always like students with an average I.Q., as they are good for society. From early adulthood Sri Ramakrishna occupied my consciousness. I had traveled extensively in West Bengal to catch the joy in places associated with Thakur. I was amazed at the spiritual atmosphere that perfused those places. 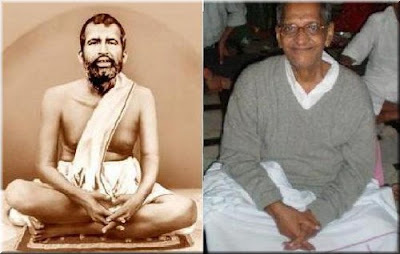 I wondered how much spirituality Thakur must have radiated and whether there is any contemporary saint who could give me the darshan of the peace of Sri Ramakrishna. Was there such a saint in modern times? Then I came across Sri Nannagaru. I heard of this saint while surfing on the internet about Sri Ramakrishna. I read about him and wondered whether I would meet him any day. A few months back on Gurupoornima I heard that the saint was coming to my city and decided to go and see him. The venue was Sathya Sai Nigamam,Hyderabad. I reached the hall at 2.00pm and made my way through the hall towards an empty chair at the back. There was an animated chatteramongst the devotees who suddenly became quiet when the Guru came. I saw the man amidst thousands of his followers sitting on the podium and delivering one of the greatest speeches I have heard about advaita. His words were not dry but carried with them the conviction of personal experience. I instantly knew I was in the presence of a master. Time flew by. During his talk the sun set behind him in the upperstorey windows and I concentrated on that.I felt an uncommon peace. He just looked at the huge gathering with piercing but benign gaze. There was a stunning pin drop silence in the entire hall. It was more powerful than his speech. Every eye was riveted on him. The breath seemed to have been sucked out from one's being and been replaced with silent power. In every eye was a light of calmness and in every heart a feeling of bliss. I realized with more conviction that this was really a mahapurusha. And then the spell broke. At the end of the satsang I decided to test the great man by sending mental waves asking him to acknowledge my presence. The man was surrounded by countless devotees who wanted to touch him and speak with him. I stood right in front of the podium and was hoping and wishing that he see me. "Acknnowledge me. I have come for you." I told him mentally. He looked at everyone else but me. I decided to leave the place with a slightly bruised ego and a thought perhaps that we did not share a relationship. I had come out of the hall when suddenly a thought struck me that he is indeed a great purusha and I should try again keeping my arrogance and ego aside. I went inside with vigour and climbed the podium. I reached the crowd that was surrounding him whence suddenly there was a opening and I saw the master looking at me with a smile on his lips. He beckoned me closer and patted on my right cheek. The place where he touched me tingled with sensation the entire day. 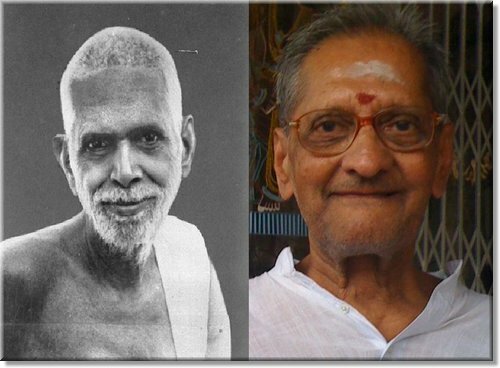 I do not know if it was his touch or my destiny...but within a month I laid my feet on holy Arunachala soil and got an accomadation in his ashram. More of the story later. Worldly people want things of the world. Devotees choose God. In the Mahabharata during the Kurukshetra war, Lord Krishna granted to both Arjuna and Duryodhana that they could choose either between Him on one side and His warriors on the other side. Arjuna chose Krishna whereas Duryodhana chose his warriors. Swami Vivekananda said Krishna was the charioteer for Arjuna. If we choose and believe then the Lord will also be our charioteer. Objectless awareness – Awareness is there but the object isn’t there. When there is no object there won’t be any attraction. It is like the hare’s horn. You may ask, ‘Is it thick or thin?’ but if there is no horn itself, where is the question of thick or thin? Krishna says, ‘One who sees everyone in me and sees me in everyone, he has the real sight.’ This real sight is the result of good karma accrued over numerous lifetimes. We all have a thief’s sight (i.e., unreal sight). The one with real sight will see truth, even if the eyes are open or closed, whereas we see untruth whether or not we close or open our eyes. For those with real sight, it doesn’t matter even if death comes to the body - there is no benefit or any loss by its death! 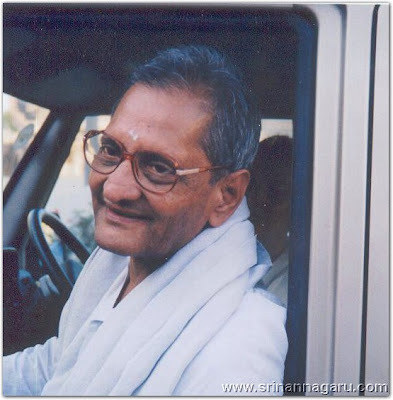 I am a devotee of Sri Nannagaru from past 19 years. I loved everyone around me and they reciprocated with the same. I was so happy in my little world filled with love and care. But at the age of 20, I met some one who fascinated me. With whom I neither had a blood relation nor friendship but still loved me, more and more soooooooooo much. Its then I experienced true love, true happiness. I got so addicted to his love that I felt I can do anything for his love. He is none other than Sri Nannagaru. From the first day I met him to the present day when ever I meet him he showered the same love on me .It is said truth is something which is same yesterday today and tomorrow and the truth which I experienced is Nannagaru’s love and love alone. Nannagaru! Love is his instrument. Love rolls out from his words, from his eyes and every action of his body. It is the love in him that gathers the crowd around him. It is his love which takes his teachings to the hearts of his devotees. It is his love which consoles the grief stricken people. It is his love which brings smiles on the faces of devotees. His love is the strength of many which makes them ready to face any situation. It is his love that gives happiness to the people, that happiness which is not attained by a soothing music or a tasty food or a fascinating sight is experienced in presence of him, which is above above all these senses. Having so many relatives and friends in this world we are still orphans if we do not have our Guru. Only after experiencing his love we could know the paleness of the love that we get in this world. You are around me, with me, in me, and beside me Nannagaru. Thank you Hima Garu, for sharing this beautiful Love emanating note with us. It shows the dedication and love towards of our Guru Nannagaru. Mind is like a bubble. In the bubble also there is water. If you don’t see the form in the bubble, see the water, then there is no need for sadhana. There is water in the tank, lake, river and the sea. If you forget the form, what exists everywhere is water only. Associating with form creates problems and misery so you should leave it aside. If you get knowledge then the whole of creation will appear in your heart. Except consciousness nothing else will be seen. If every human being is seen with Atma drishti, distortions won't come. If there are no distortions, the mind will be subdued. If fire comes in the water, the water won't catch fire. The fire is extinguished. The heart of the jnani is also like that. The heart of the ajnani is like fire put on dry cow dung. If one puts fire on dry cow dung, it will catch fire. One must conduct oneself according to the word of God. Every moment we must observe whether our mind is subdued or not. Sadhana that is done with a mind that is let loose is like rose water poured on ashes. The sadhana that you do will come back to you with interest, as the grace of Eswara. At times it takes hundred births to understand one small matter. We should be calm. We should not expect that the world should be happy if we do some small good work. I HAIL from Jinnuru, a village in West Godavari district of Andhra Pradesh and belong to a peasant community. During 1954, I accompanied my maternal grand mother in a pilgrimage to the Northern part of the country. In 1957 I had a dream one night. An old man with a staff in his hand, raised me from the bed and kissed me hard on my cheeks. I was perplexed. I pleaded with him to leave me alone. The stranger paid no heed to my words. I had a feeling that he was invading my life. I was seized with fear and tried hard to wriggle out of his grip. While he was holding me in his embrace, my pillow feel on to the floor. He lifted it off the ground, adjusted it on my bed and gently laid me back on the cot. He looked at me compassionately and said "This is enough for now", and left me, as a doctor would leave a patient. For six months I was struggling to know who this stranger could be. One day while reading The Hindu in our village Library, I saw an advertisement of The Great Man of India by Madras Book Publishing House. Going through the list of these great men, I felt a thril when I read the seventh name as "Sri Ramana Maharshi". I felt here was the man who would draw me to the cave of my heart. I got the book on Sri Ramana Maharshi through post from the Madras Company. The book contained his portrait also and I recognised the person who had appeared before me in my dream six months earlier. The divine person Bhagavan Sri Ramana Maharshi, lived in 'Arunachala' in Tamilnadu and was revered all over the world. His physical life ended on 14th April 1950, in his seventieth year. He had no personal life of His own. His life was but the splendour of the Self. Equality was His life breath. Many blessed people achieved fulfilment in their lives by the mere darshan of the Maharshi. He as like a blazing sun in the spiritual firmament of India. The Chanting of His name is auspicious. 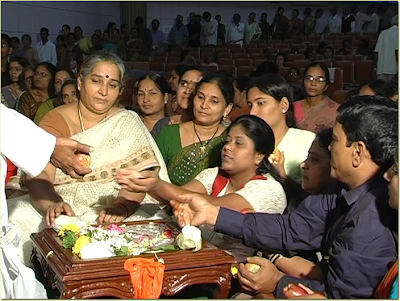 Many people lives became blessed and meaningful by mere darshan of Maharshi. He is like a sun in the spiritual sky of India. God has gifted Sri Ramana as a boon to the entire humanity. His life itself was his message. His teachings are beyond space and time. Taking his name cleanses us.He is the Mahatma of all Mahatmas. The entire humanity can take pride in his incarnation. His incarnation is the result of the entire humanity yearning for truth His message is a height to the entire nation. I paid my first visit to Sri Ramanasramam in January, 1959. I have dedicated my life from then on till now to His service. It was not my choice that He came to my life. He took me into His fold and blessed me! Sri Ramakrishna Paramahamsa (the great Saint) was so compassionate and so benevolent towards his disciples that out of Love, affection, pure and divine love, He addressed them as Hey Boys! Where are you? Come Here, come here, come to Me, come fast, keeping them under observation and upgrading them, these being the connections from many births, only to bless them with that extreme state and the Supreme knowledge. It comes only out of Love and out of compassion. Once you attain that state, You and Me are ONE. ME AND MY FATHER (GOD) ARE ONE. Till then, we doubt and question, Have you forgotten me? The great sage Sri Ramakrishna Paramahamsa (He is an incarnation), is again remembered. His Love, Divinity and a flow of endless grace knew no bounds. While addressing His close devotee Madhur Babu He said, you may possess sicknesses, weaknesses and even sins but I still accept you and I love you. Vivekananda pestered Ramakrishna Paramahamsa for realisation. So, one day, Ramakrishna put his foot on Vivekananda’s forehead. At the moment Vivekananda was starting to lose body consciousness, he began to get anxious and worried, so started shouting, ‘My mother, my mother, who will take care of my mother?’ (By then he had lost his father). Ramakrishsna Paramahamsa was illiterate. 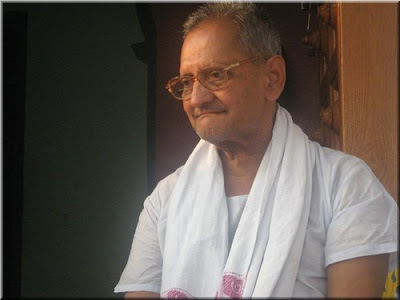 His disciple Mahendranath said "we have never seen him read. But he has just given us his experience." Swami Vivekananda said "my guru is like a mad man. But he is not a bad man. He has lived and is giving out his experience." The great saint Sri Ramakrishna Paramahamsa sees mud stone and gold alike. He practiced his mind abstaining from the touch of money such that his hand was paralyzed by the mere touch of it and this could be the lone example in the world spiritual History. While it was the time to leave his body he said "Naren, I gave everything to you, and now I became a poor man". Good afternoon one and all, I would also like to share my experiences along with other devotees.Thank you for giving me this opportunity. I think it was back on February 14th, when I was preparing for my PG exam at night 11.30. Suddenly my mom came and told that few of our devotees are going to Jinnuru for Maha Shivaratri. I also wanted to offer sweets for Nannagaru, then promptly I asked my mother "Can I also go and meet Nannagaru?" she said yes. Since I had exam on 16th, Dad might not allow you to go. After a while she said don't tell to Dad about your exam and you go to Jinnuru. The next day I went and bought tickets for Jinnuru. 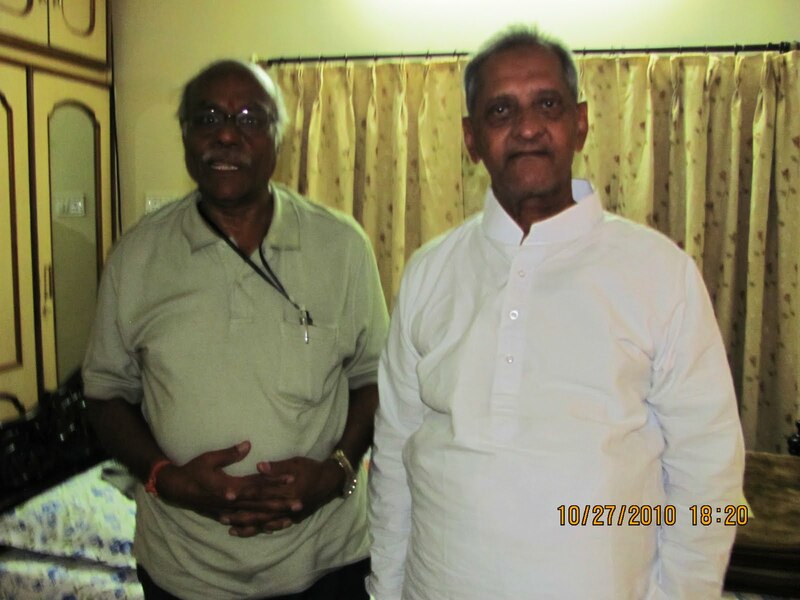 I was very happy and grateful at that moment, every time we plan so many things to meet guru but sometimes all plans will end up vain,but this time without my knowledge I was going to meet Nannagaru, that is grace of Guru. He knows everythng, when to take and when to call his devotees. The next day we were in Jinnuru,the place was so beautiful, can't express in words about the beauty of the place.We went to Ramana Kendram ,got dressed up fast as Nanna is leaving to other place to give a sermon. I walked to Nanna's house, offered my sweets to kannama(Nannagaru's wife), took her blessings and was waiting for Nanna's blessings. Then I saw Nanna doing his daily activities(like brushing, massaging, oiling his head,etc..) I started to shoot in my camera all these memorable moments. I felt Nanna was taking more time than the usual time for his daily activities, since I was capturing all those moments. I continued to shoot Nanna house, after that I offered my sweets to guru, decorated him with a garland. 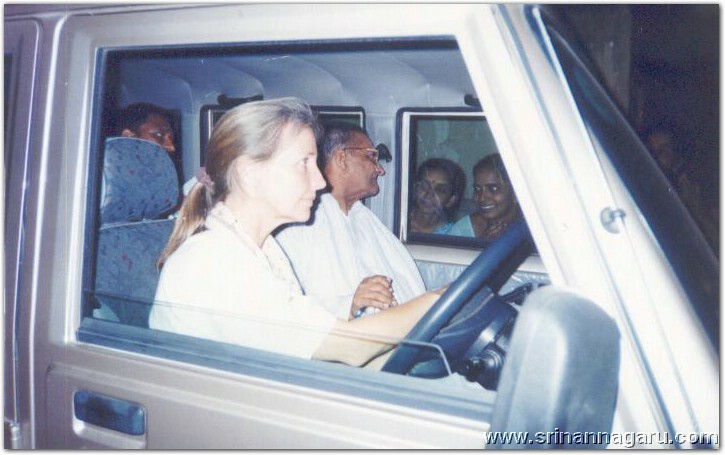 Nanna started to go to the place where he was going to address devotees. Meanwhile we all (chitra, padma and latha aunty and myself) went to meet Nanna 's mother. We had snaps with her and we started to go to Nanna's home. While going, he suddenly called me -"You come here". Nanna said - "keep this bag and bottle in the car"
I did the same and stood beside him. Nanna: how are u? wat ru doing now? are u getting matches? how about ur family? etc.. Myself: I am fine Nannagaru, I am at present thinking to study for my DNB pediatrics at Rainbow children's hospital, and I am getting matches but none of them are liking me. Nanna: He said you look good, why aren't they liking? (adentamma nuvvu bane vunavu kadaa) and saw me and smiled at me. It continued till we reached the destination. I was very happy couldn't express my feelings of that day except by shedding tears. 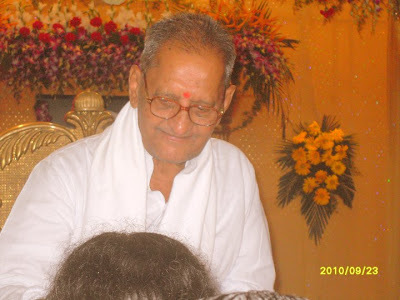 From last 8 months, I was actually mentally not able to concentrate on my studies nor on my spiritual life.I used to pray daily to nannagaru, please take me to your place,talk to me and give me strength to come out of my struggles and make me pure in heart and, mind.I thought that was the day Nanna planned to change my life and make me pure. It was the day when we had to leave.We sat in the hall and was waiting for Nanna. He called me and told me to sit in front of him and started asking questions, about my studies, career, marriage life. He told me that -"I'll be always down to earth, have good practise in life and get good husband who understands and loves me from bottom of his heart." Nanna also told me that -"I'll remember you forever and told it was good you came here this time"
I felt it was you who bought me to here and poured grace. He deeply saw into my eyes and I cried a lot (as I pleaded to make me pure, give me strength, let me be in your path forever and never again deviate from your path). Being a Devotee of Nannagaru, I felt what more should I need . Such assurance and love I experienced which can't be expressed my words. 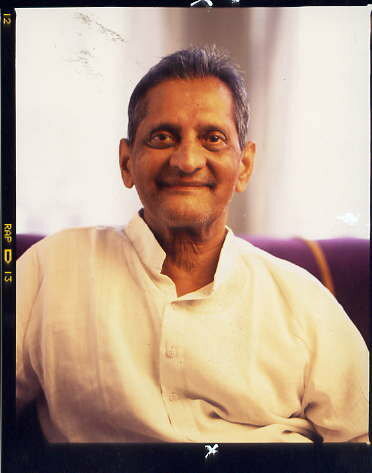 I was so happy, felt very light in mind, heart and body, as light as a feather, that was Nannagaru grace on me. From that time onwards I was very happy, but now again from few months I was attached to worldly pleasures and had thoughts why I was deviating from my path? Today I had an oppurtunity to meet Nannagaru for few seconds (Sep 22nd,2010) and started to browse through this website,and felt to share my feelings also. Madhulika, your devotion and love towards Nannagaru, made him to utter those words. Thank you for sharing this beautiful note and experience with us. If we leave our mind to the wind, it will be like tirtham to tirtham, prasad to prasad, but jnana won't come*. The path should be the correct one. Even if one walks slowly, it doesn’t matter because if the path is not correct, even though a crore of (ten million) births are taken, the goal will not be reached. Krishna said in the Gita that the mind is the cause, whether you are well or go bad. We came on earth to make the mind well. People having crores (of money) are also unable to be happy. There is always only sorrow. People who don’t have money see millionaires and think that they are happy. And then some people without even a top and thread (a spinning top – a plaything) are always at peace. The reason is only the mind. 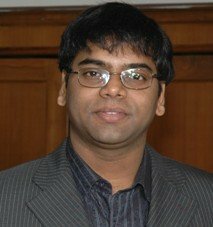 In Kakinada (in East Godavari district of Andhra Pradesh), a lecturer, even from a young age, had the desire to go to Kasi. After he was sixty years old, he retired and went there and died. That is the will or plan of Eswara. If the words, ‘All is Eswara’s will,’ is said with the mouth, sorrow will not be destroyed, but sorrow will be destroyed if it sticks to the heart. In a house, some people will be sad and others happy. Even that is only Eswara’s will. A few people in the house will be well and some will become bad. Then, who is the one responsible for this? When even the fingers of our own hand are not equal, how will society be without differences? I am a housewife. In the year 1996, we used to reside in G Medapadu Of East Godavari District. We rented a small portion in a big house. 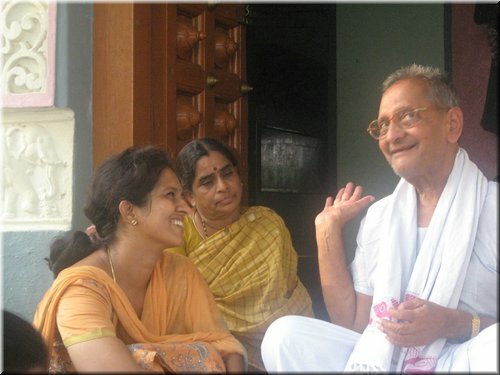 Our landlord being Mrs.VijayaLakshmi, used to conduct RAMANA Satsang's every day between 2 PM to 4 PM. Along with other books, we used to read a spirtual discourse of Sri Nannagaru from Ramana Bhaskara. Since I had a high pitched and clear voice, I was asked to read the books. Some senior people who participated in this satsang used to elaborate the hidden and deeper meaning of Sri Nannagaru's simple words. Slowly, the satsang had an slow impact on me. By nature I am an angered person and intolerant to small mistakes or words even with my family members. Unknowingly this satsang brought a remarkable change in my attitude and behaviour towards fellow human beings. This transformation was bought without by my effort. I could see and experience the change in myself. I never happened to visit Nannagaru till then. As months passed, on one fine day I got a beautiful dream. It was at a railway station and near a train compartment. A gentleman wearing white clothes was assembled with devotees near window. He happened to see me,smiled and signaled to come near to him. I went to him, and offered fruits. 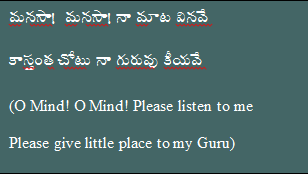 He asked me which mantra you want as Guru Upadesam. I said "OM NAMO NARAYANAYA". He chanted three times, and made me to do the same for 3 times. Next morning, at 11 AM, I went to VijayaLakshmi Aunty and shared my dream. I tried to narrate him. "He was sweet old man, he dint had teeth. He resembled like Old Mahatma Gandhi." Simultaneously by doing her daily activities in Kitchen, she continued to listen to me curiously. All of a sudden, she ignored the work, and gave a hug saying it was none other than Sri Nannagaru. She also said you are really blessed. She continued saying - "I just received a message that Nannagaru is going to Visakapatnam by train. As it halts for few minutes at our station, we all are going to Railway station to meet him tomorrow, you can also join us. " I couldn't believe myself, since exactly as in my dream I was going to meet him in Railway Station. As it was in dream, he gave Mantroupadesam. The train halted for few minutes, and then started. "Guru always exist. Guru means existence forever. Real Guru is always within you and with you. In jagruth,swapna,susuhpta(Awakeness, dream, sleep) in all avastas he is present"
"True devotee need not search for Guru. Guru himself will wear a body and will come to him, because this is Janmanthara Anubandam (connection from many births). Oh! superior Guru, you proved yourself. By offering prostrations to Nannagaru's feet(Sri nannagurudevula padapadmamulaku prnamamulatho), I end the note here. Thank you for this inspiring story. It clearly shows there is nothing that is impossible under Guru's grace. It is all predestined when Guru calls his Devotee. We have told in numerous meetings that the difficulties that arise out of ego are greater than wind, rain and earthquakes. If we feel like speaking good words to someone, we may say them. However, if they didn’t listen, we should not get emotional. If we get emotional, we will be ruined.Bhagavan said that every name and form brings sorrow for human beings. Even as we remain, that form disappears (referring to death).